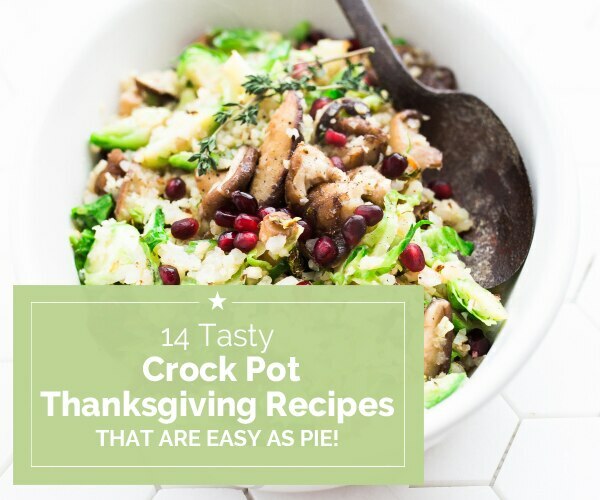 14 Tasty Crock Pot Thanksgiving Recipes that Are Easy as Pie! 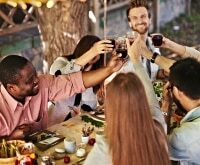 An entire Thanksgiving dinner without turning on the oven? It can be done! 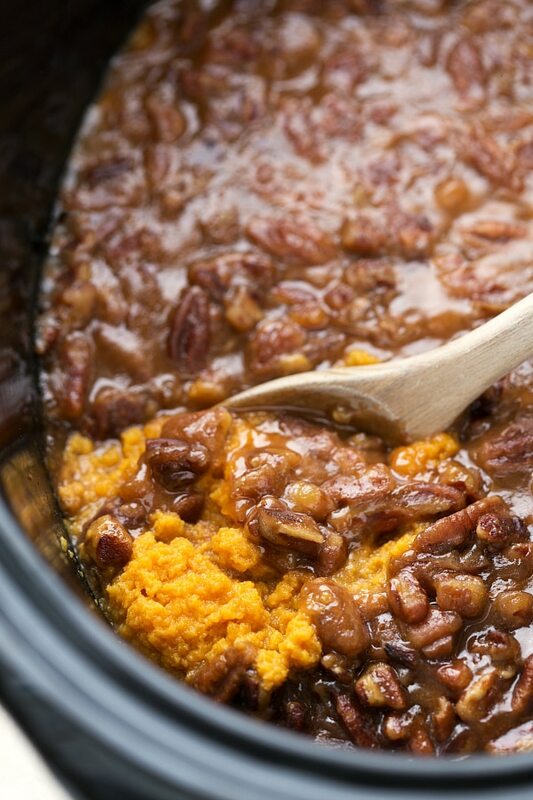 Just be sure you have a slow cooker on hand and you’ll have a feast ready when you are. 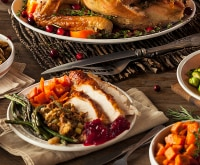 If you don’t own a slow cooker or only have one or two at your disposal, ask family and friends to bring theirs over for a slow cooking party featuring these seven Crock Pot Thanksgiving recipes! Free up even more of your time with this delicious slow cooker cranberry sauce recipe, plus some no-bake sweet treats and make-ahead Thanksgiving dishes! Offer a paleo-friendly, slow cooker side dish for friends and family looking for a skinnier option on Thanksgiving day. 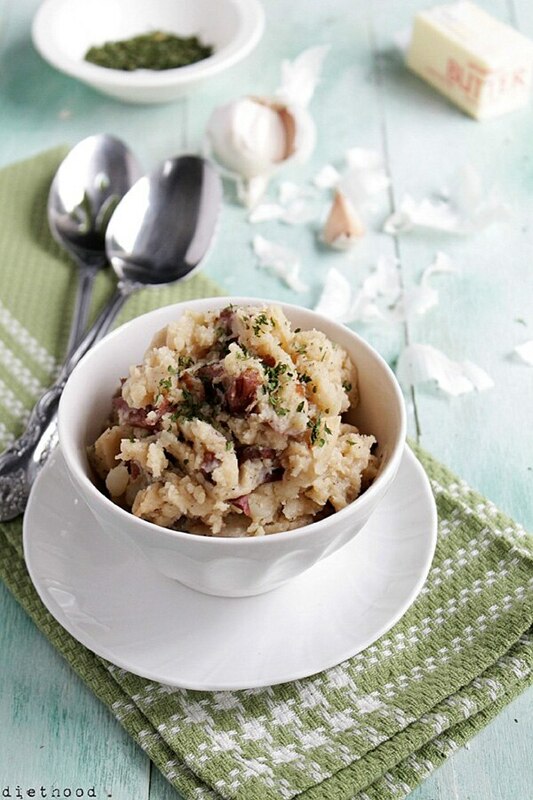 This simple “risotto” is made with cauliflower rice. 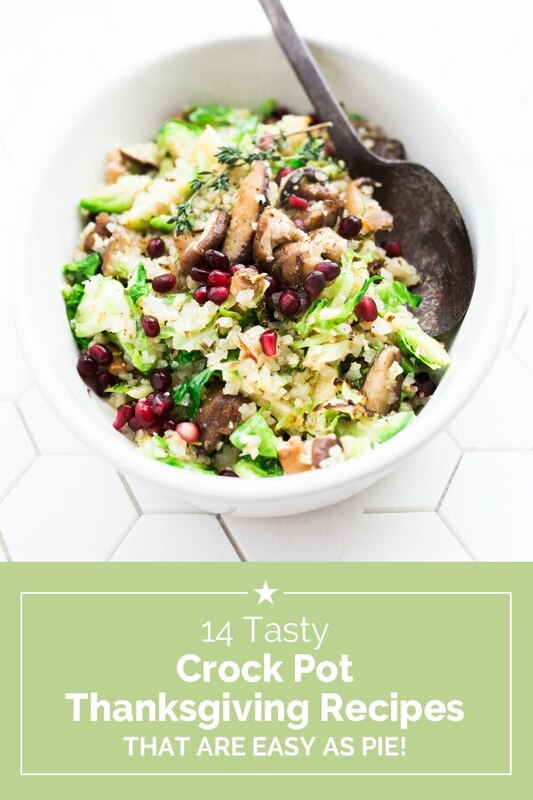 Just toss everything together in a crockpot in the morning, cook on low, and by the time dinnertime comes around, you’ll have a delicious, savory side that everyone will enjoy. 1. 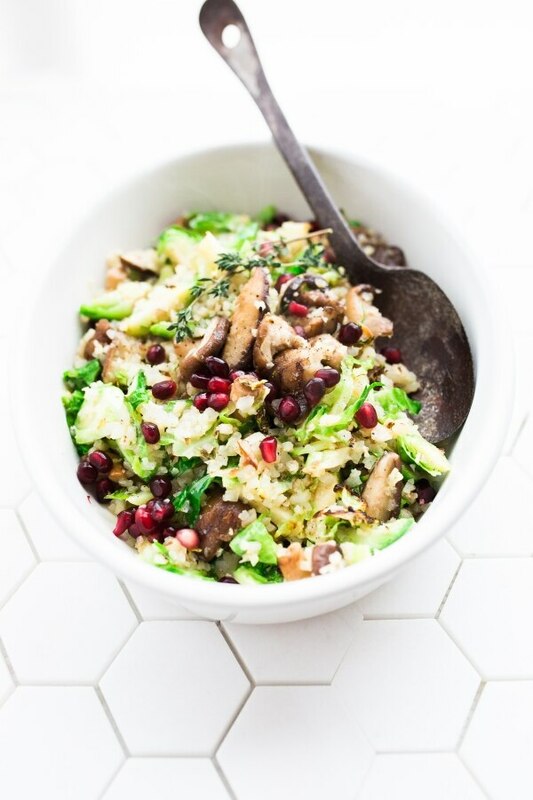 Place mushrooms, Brussels sprouts, and cauliflower rice in a 3- or 4-quart crockpot. Drizzle with coconut oil/ghee, sprinkle on garlic. 2. Cover and cook on low for 3-4 hours or on high for 2 hours. Stir before serving. 3. Sprinkle with salt and pepper. Garnish with pomegranate arils, if desired. Are you hooked on cauliflower rice yet? 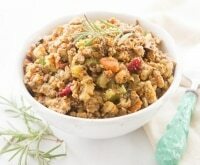 Check out this delicious cauliflower fried rice recipe even kids love! 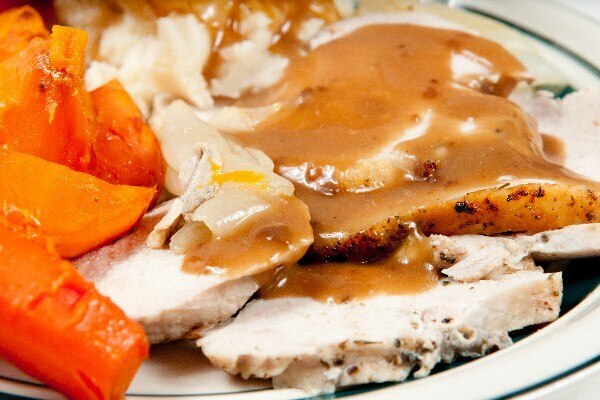 If you’re having a smaller gathering, a simple turkey breast might just be the perfect size. It’s simply seasoned but still loaded with flavor. If turkey isn’t your thing, this mouthwatering Crock Pot Cola Ham with a brown sugar crust will satisfy your cravings. It’s slightly sweet with a whole ‘lotta flavor. 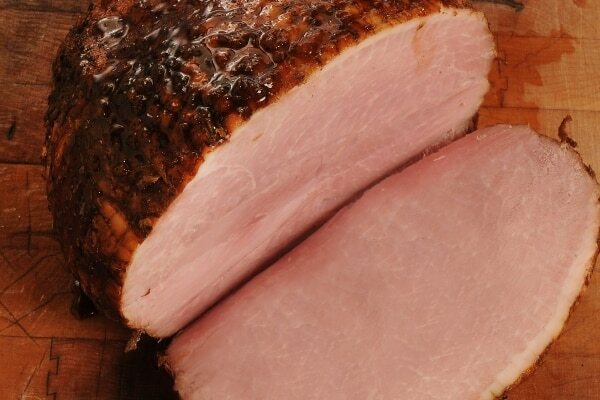 Quick tip: Make sure your ham fits in your slow cooker! This sweet potato casserole is loaded with brown sugar and pecans. It’s cooked right in the slow cooker for a no-fuss side dish. 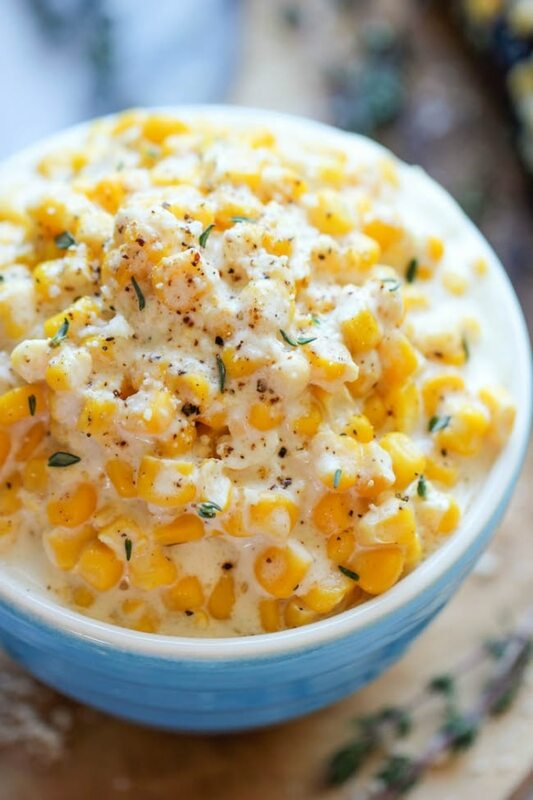 Creamy and decadent, this Slow Cooker Creamed Corn will quickly become a holiday favorite. 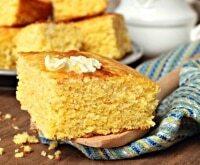 Cream cheese, milk, and butter give this Thanksgiving side an addictive edge that’ll make you want to pile it on your plate! 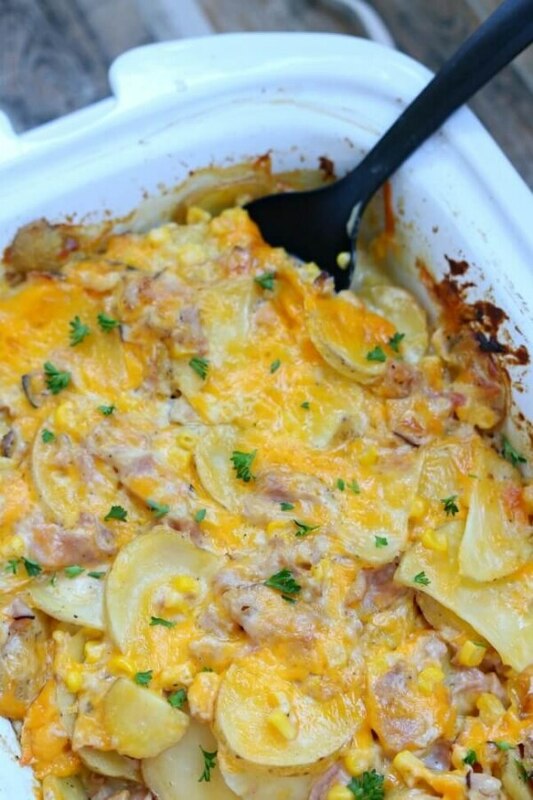 Layers of gooey cheese blanket perfectly-cooked, sliced potatoes in this Slow-Cooked Scalloped Potato dish. 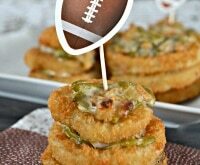 It may trump your mashed potatoes as the winning side dish this year! Incredibly easy and delicious, this Green Bean Casserole can be cooked right in your slow cooker to save on oven space. 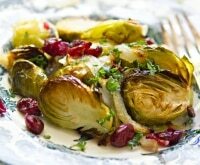 It’s a Thanksgiving side dish must, and this fix-it and forget-it recipe is totally stress-free! 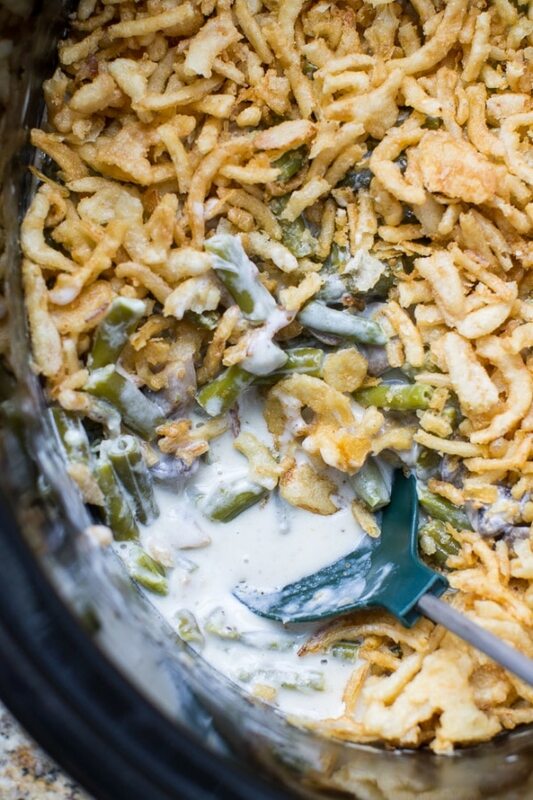 Love a good green bean casserole? Mix up your recipes a bit with these 7 twists on the classic green bean casserole recipe! 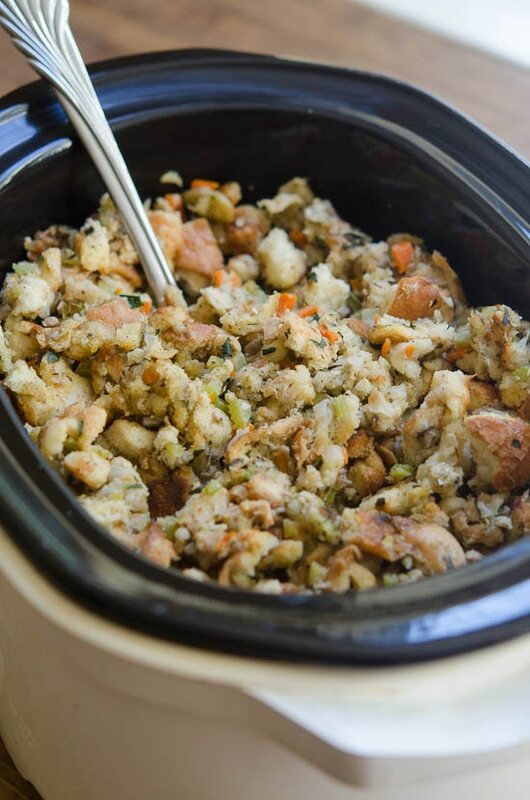 It’s just not Thanksgiving without a heaping pile of stuffing on your plate. Your turkey is roasting away and oven space is all but non-existent. That’s when your slow cooker saves the day! 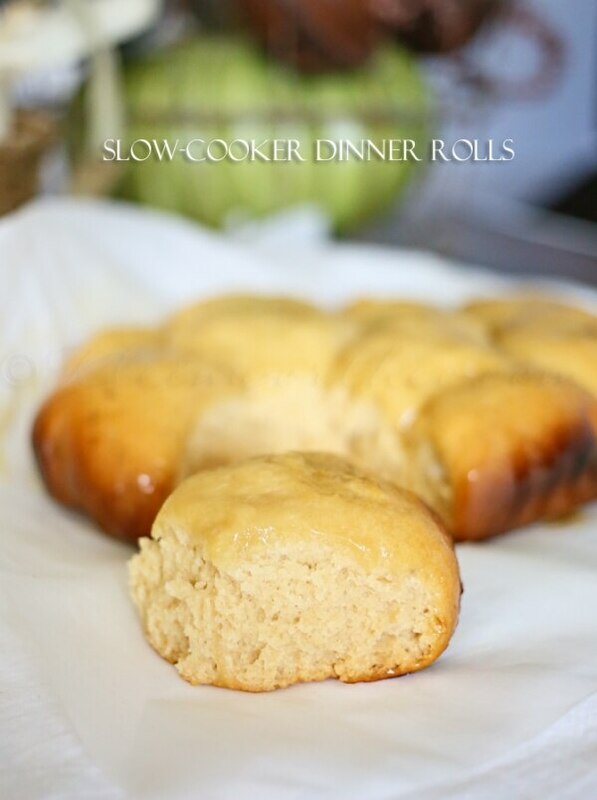 Bake up warm and fluffy dinner rolls in your slow cooker without using up precious oven space. 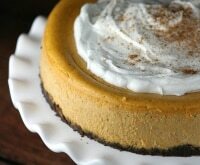 Imagine this cinnamon-spiced pumpkin butter slathered over those warm rolls you just made in your Crock Pot. Yum! Every Thanksgiving dinner requires a side of potatoes, and smashed potatoes are the best! The beautiful fall colors of the red potatoes and sprinkles of herbs on top make this dish a festive addition to your table. Forget the jar of goop! 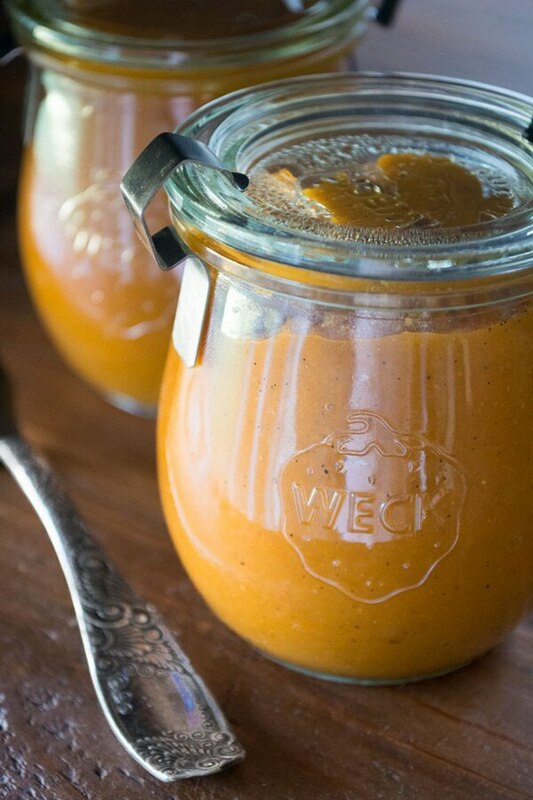 Instead, dump some cranberries and persimmons in a slow cooker and you’ll have the perfect sauce in just three hours. Looking for a more traditional cranberry sauce? 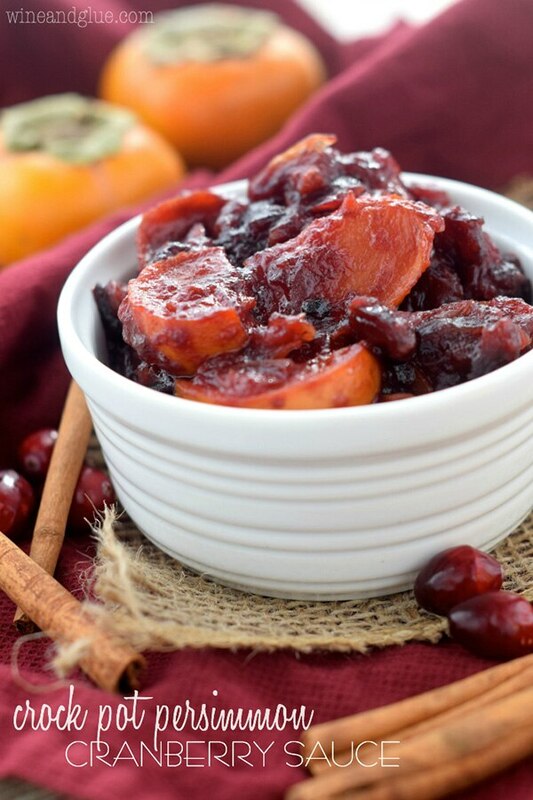 Try this slow cooker cranberry sauce recipe — you’ll never go back to the canned kind again! 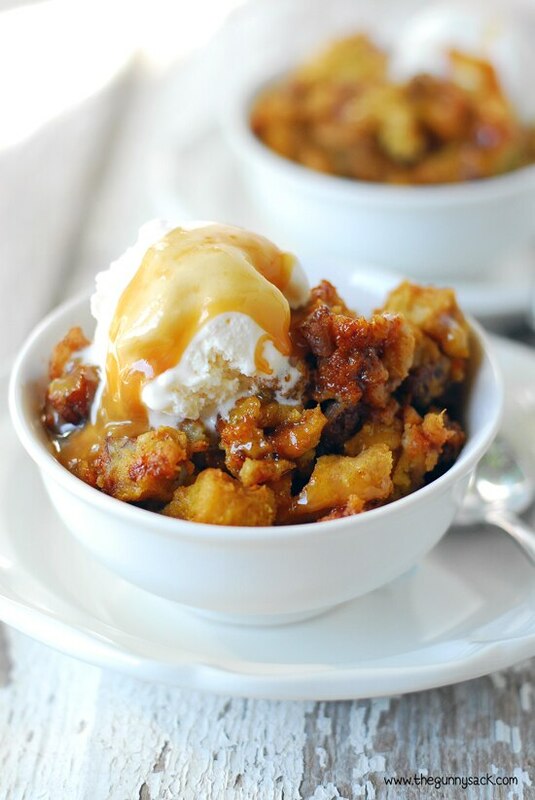 Take a break from pumpkin pie and try this warm and delicious Slow Cooker Pumpkin-Pecan Bread Pudding. Serve with vanilla ice cream and a drizzle of warm caramel ice cream topping for a dessert you’ll want to dig your spoon into right away! 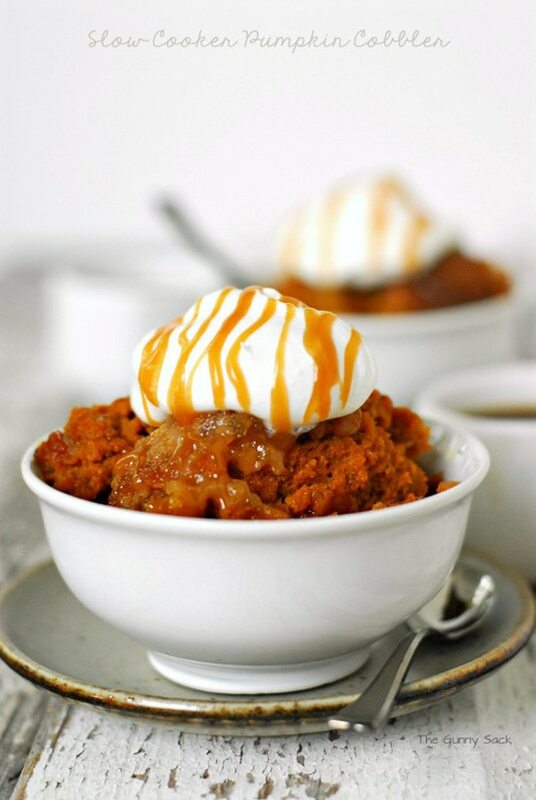 Pie might be more traditional, but this pumpkin cobbler is every bit as delicious. 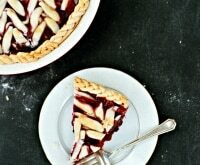 The best part is there’s no need to roll out a pie crust.